Are price increases in Botox motivating some physicians as well as non-physicians to sell fake Botox to their patients? A Houston physician, Gayle Rothenberg was sentenced to 5 ½ months in Federal prison last Friday for injecting patients with a fake Botox product not approved by the Food and Drug Administration for human use. Apparently Dr. Rothenberg injected at least 170 patients with an unapproved botulism chemical. According to testimony, Rothenberg stopped using Botox after a price increase in January 2004 and began ordering the unapproved drug, which was half the price, despite knowing it was not for human use and labeled only for research purposes. In 2004, when fpur people became paralyzed from the counterfeit Botox, the FDA’s involvement has led to 31 arrests and 29 convictions of individuals selling the fake Botox. In addition to a jail sentence, Dr. Rothenberg must pay more than $98,000 in restitution to her patients and cannot reinstate her suspended Texas medical license. The case of Dr.Rothenberg is no different than the case of Laurie D’Alleva, another fine citizen of my home state of Texas charged with selling counterfeit Botox. So far D’Alleva’s case has yet to be prosecuted as evidence is still being gathered. The common similarities between the two are that both individuals were motivated by greed to jeopardize patient safety ahead of financial gain. Laurie’s case is especially intriguing to me based on public opinion. Here is someone who seems to be viewed by her customers as a “business woman” who was doing a “good service” for those individuals who felt that Botox cosmetic was too expensive because the “greedy” doctors were charging too much for the filler. While Laurie seems to be viewed by many as a caring individual, making Botulism more affordable to the masses, public commentary on Dr. Rothenberg is quite the opposite. Comments such as “5-1/2 months? Justice is not only blind, it's stupid. (and maybe corrupt) “ and “That sentence is not even one day of confinement for every defrauded patient!.” I feel the same way as the above two comments, but why is the public sentiment different with these two con-artists? Is it because one is a doctor and one is not? 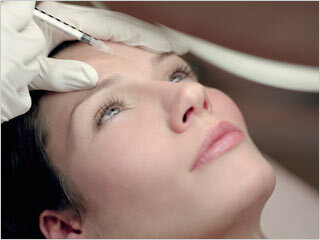 Personally, I find it very frustrating that the price of Botox has doubled in since its introduction. I remember being excited when Dysport came out because I thought this product would be half the price and would drive the price of Botox down so more patients could afford the price. Sadly, this was not the case. As physicians have to pay more money for Botox, so do their patients. These increasing prices enable individuals such as Ms. D’alleva and Dr. Rothenberg to find counterfeit Botox they can buy at a cheaper price to make a greater profit, while sacrificing patient safety. Laurie d’Alleva’s “Botox” price was probably pennies on the dollar, whereas a physician’s cost for Botox is now at $600 per bottle. Hopefully another pharmaceutical company peddling botulism toxin will come along, get FDA approval and drive the price of Botox down to a more reasonable price for physicians to purchase for their patients. Until then, brace yourself for more Laurie d’Allevas and Dr. Rothenberg’s to come along. Thank heavens for the invention of ventilators!